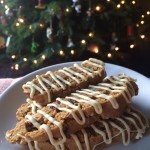 Ginger is usually thought of as a “holiday spice”: gingerbread houses, pumpkin-spice anything, sweet potato side dishes, etc. I purchase multiple jars of ground ginger at a time from Trader Joe’s, and I go through them quickly. You might even say I’m a bit of a ginger-groupie. One of the things that I love about ginger is its versatility. Sure, we all know that it pairs well with the holiday spice quartet: cinnamon, allspice, cloves, and nutmeg, but one of my all-time favorite flavor combinations is that of bittersweet chocolate and ground ginger. The richness and creaminess of the chocolate cuts through the spiciness of the ginger, making this ingredient duo a winning team in dessert recipes. I love a gingersnap. There’s something very comforting and nostalgic about them for me. Maybe this is because they remind me of those little iced spice cookies that we used to get at school during recess. Maybe the smell of them baking makes me think of Christmas time growing up. 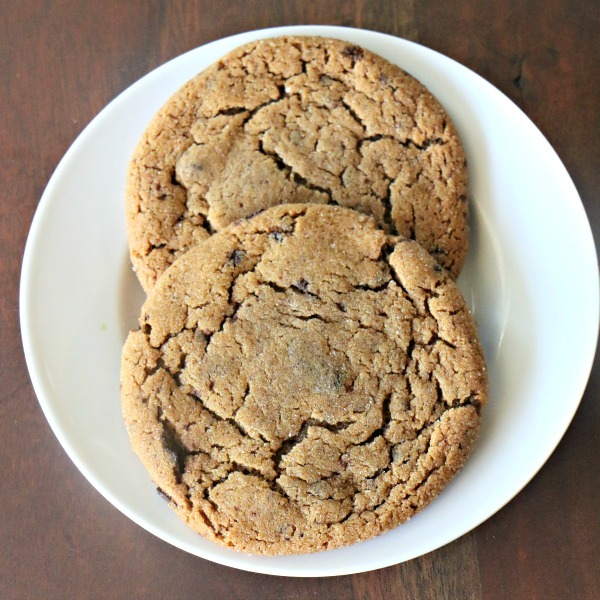 Whatever the reason, my gingersnap recipe is one of my favorite cookie recipes–and was one of the most popular cookies at my bakery. They’re slightly crisp on the outside but chewy on the inside, and they beg for a glass of cold milk or hot chocolate, depending on the time of year. 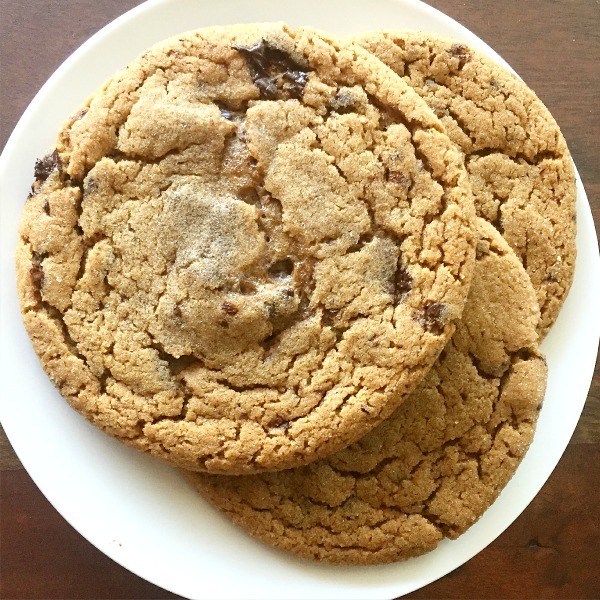 This is the first time that I’ve ever thought of adding chunks of freshly chopped chocolate to my gingersnap dough, and the results were a unanimous success……I’ve had to make three batches to keep up with demand from my family. I especially like how the different sizes of chocolate pieces create little surprises with each bite. Sometimes you get one large chocolate chunk, and other times you get several smaller ones that hit every corner of your mouth. Win-win. 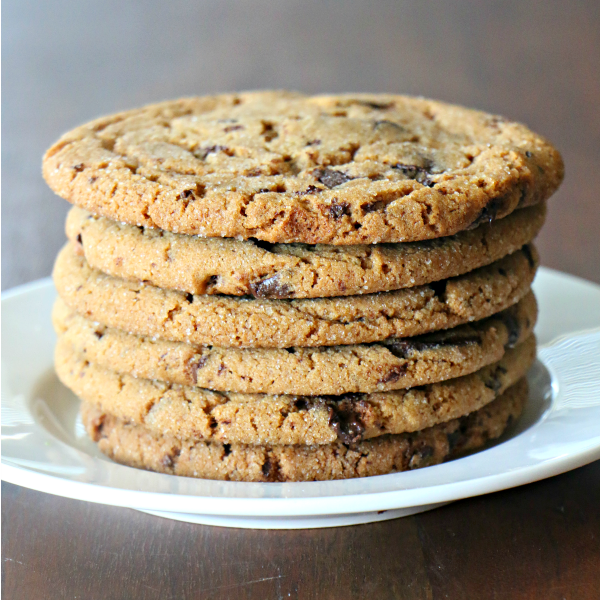 These cookies feature one of my favorite flavor combinations: rich bittersweet chocolate and spicy ginger. Although gingersnaps are usually thought of as holiday cookies, my family loves these so much that they request them year-round. Fortunately, as their name suggests, they are a snap to make! Preheat the oven to 350F degrees. Line baking sheets with parchment paper. In the bowl of an electric mixer fitted with the paddle attachment, beat the butter, shortening and 1-1/3 cups of the sugar on medium speed until light and fluffy, about 3 minutes. Add the egg and the egg yolk and beat for 2 minutes more, stopping to scrape down the sides of the bowl as necessary. Beat in the molasses. In a medium bowl, whisk together the flour, ginger, baking soda, cinnamon, cloves and salt. Gradually add the flour mixture to the butter mixture, beating on low speed until just combined. Mix in the chopped chocolate. Place the reserved 2/3 cup of sugar in a shallow bowl or dish. Form the dough into 2-inch diameter balls and roll the balls in the sugar before placing them on the baking sheets, spacing 2-3 inches apart. Bake the cookies for 11-14 minutes, until they have started to crack on top but are still soft in the middle. Cool the cookies on the pans for 5 minutes, and then transfer them to wire racks to cool completely. I like to chop my chocolate from a block (such as the Trader Joe's Pound Plus bar), using a large serrated knife. This creates a variety of sizes of chocolate chunks, from small shards to large, irregularly shaped pieces. 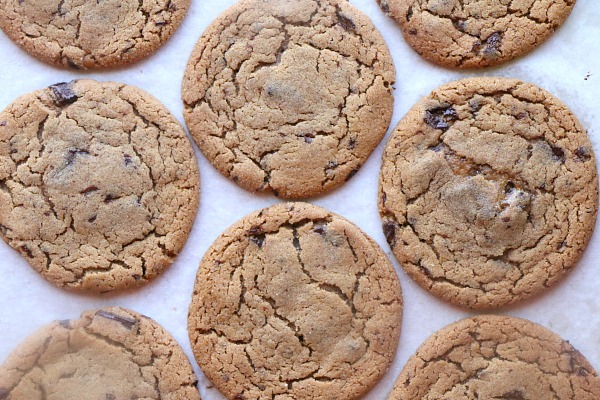 You can also use bagged chocolate chunks or even chocolate chips. Can’t wait to try these; I know any recipe of yours is a keeper of mine. Also love the fact that you unabashedly call for some vegetable shortening … sometimes a partial addition is a valuable necessity. I can’t stand it when know-it-alls look down their nose at it. Julie, thank you! I baked these tonight and they are incredible. 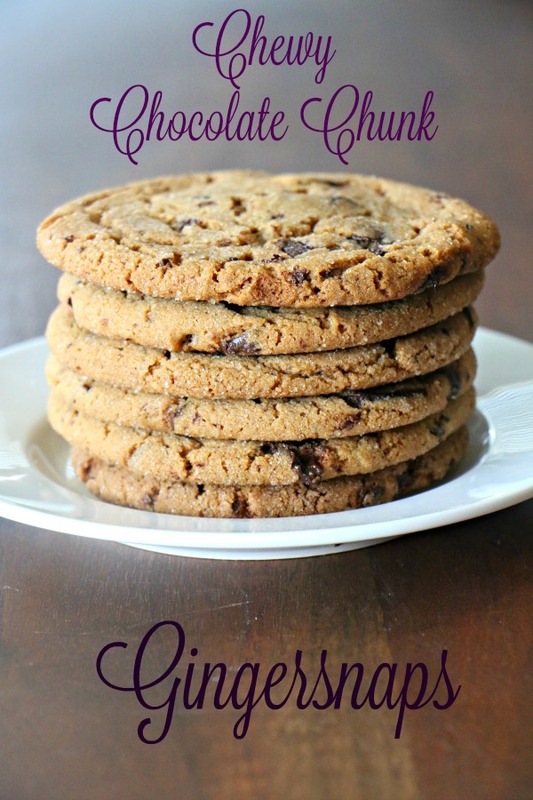 Like you, I adore ginger in all of its forms, and these cookies are the perfect blend of comfort and zest. Your recipes always make my kitchen smell so good. You are amazing! I think I’m going to try the banana/chocolate bundt cake concoction you’ve just posted for my next cooking adventure . . .